TCO will present two major events this October:the Taipei Chinese Orchestra International Composition Competition and a tour in China (the last visit was in 2013). The orchestra will be performing in the National Centre for the Performing Arts in Beijing and Shanghai Symphony Orchestra Hall. This tour, for which TCO prepared two sets of programmes, marks a series of “firsts” in China. In Beijing, TCO will present the Chinese orchestra version of Musical Sketches of Taiwan by BAO Yuan-Kai who spent twelve years on this composition; and the Chinese orchestra version of The Butterfly Lovers' Violin Concerto, which will feature violinist LU Siqing. Both works will be performed in China for the first time. In Shanghai, TCO will participate in the 18th Shanghai China International Arts Festival. TCO is one of the only two Chinese music orchestras invited to participate in the event (Shanghai National Music Group is the other one). 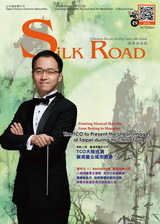 During the event,TCO principal conductor QU Chunquan will premiere an erhu concerto of The Yellow River in China.This tour aims to promote “the cultures of the cities”by offering an opportunity for musicians, soloists and composers from Taipei, Beijing and Shanghai to interact with each another and exchange experiences and local cultures. The 2016 TCO International Composition Competition is an event aimed to discover more talents and new works of Chinese Music. A workshop will be hosted during the competition and chaired by composer Yun Lu. Currently more than 30 composers from home and abroad have signed up for the workshop (the original participant limit was 30 people). The purpose of this workshop is to encourage composers to think beyond the western concepts of music composition, re-acquaint themselves with Chinese music instruments and further understand the requirements for Chinese music composition. Music compositions are the important base on which an orchestra grows and develops. Hopefully this event can encourage more people to learn more about Chinese music and create new Chinese music pieces.